In the anticipation of new regulations, several large investors have been carrying out the explorations of mineral deposits for years already. Since 2003, foreign companies have invested around 300 million euros in potential projects. These are long-term projects, and the so far achieved results give reason for optimism. Investments would multiply if mines were opened; they could be measured in billions of euros. Although it has been announced that the New Law on Geological Exploration and Mining will be adopted by the end of 2014, this has not happened yet. The current law dates back to 2011 and its modification has been announced for the following year already, as it has been explained, because of the deficiencies identified during implementation. However, the first draft that was presented during the public debate has encountered a large number of complaints by the investors and the professional public, so it has soon became clear that it will have to undergo certain changes. The point in dispute was primarily the amount of the mining leasing rate, which has subsequently been transferred to the jurisdiction of the Ministry of Finance and regulated by the special Law on Fees for Using Public Goods. According to the new draft law, the disputed provision on mandatory strategic partnership with the state has also been omitted; this partnership can still be implemented at the request of the investor. The amount of the bank guarantee has been lowered to five percent of the value of the exploration, at the suggestion of investors. The largest investor in this field is the Canadian company Avala Resources, which has been present in Serbia since 2005 and which has invested more than 117 million dollars in the exploration of gold and copper at various locations (Bigar, Korkan, Kraku Pešter). Another Canadian company, Dunav Resources is involved in the exploration of gold, copper, molybdenum (Mačkatica, Kiseljak) and they have invested 45 million dollars. Last year, these two companies announced merger, so as to integrate their exploration activities in Serbia. Rakita Exploration, a branch of the American company Freeport McMoran, is also involved in the exploration of gold and copper and they have invested 15 million dollars in the Brestovac explorations since 2010. The reserves of jadarite, a unique Serbian mineral containing boron and lithium, are explored within the project “Јаdar”, implemented by the Australian giant Rio Tinto. 70 million dollars have been invested in the exploration so far. The previous explorations have shown that the valley of Јаdar near Loznica is one of the largest lithium deposits in the world, which could satisfy a significant portion of the global needs for this mineral. Its wide application is possible in information technologies, construction industry and agriculture. Prognoses indicate that, within the period until 2017, the demand for lithium could double, primarily owing to the expected increase in the production of rechargeable batteries. It is assumed that, simultaneously, the demand for other lithium-based products, such as ceramics, glass, pharmaceutical and chemical products and polymers, will remain stable. The British company Mineco Ltd represents one of the most important investors when it comes to the exploration of lead and zinc ores. Since 2010, Mineco has invested around 6 million dollars in the exploration works near Bosilegrad. It has been confirmed that there is a sufficient quantity of ores at this location, although large additional investments are required for starting a mine. Zinc and lead have wide application in various industries. The largest portion of the world production of zinc is used for galvanizing steel (over 50%) and for producing metal alloys, whereas the production of lead-acid batteries and the construction industry certainly stand out among the numerous consumers of lead. Serbia is also rich in deposits of the mineral borate, which is commercially applied in more than 500 products, the most important of which are mobile phones. At this moment, the above mentioned company Rio Tinto and the Turkish Government completely dominate the boron market. However, the discovery of significant reserves of borate within the region of Piskanje, in the vicinity of Raška, by the Canadian company Erin Ventures, could change this picture. Some of the existing mines in Serbia, MSB Bor and Farmakom’s Lece and Zajača, are facing great problems because of the debts incurred on various basis. MSB Bor is not obliged to settle its debts until the conclusion of the restructuring process. After three unsuccessful privatization attempts, this mining giant has remained in state ownership. Although they have been recording increased revenue in the previous six years, the large debt, which amounted to 315 million euros at the end of 2012, remains the key problem, whereas the revenue depends on the price of copper on world markets. In the meanwhile, the debt has increased due to the investments in the construction of the new Smelting Works and Sulphuric Acid Plant, the modernization of mining equipment and the reconstruction of the existing plants. However, the companies Freeport McMoran and the Chilean Codelco, which have already been collaborating on the projects within the Bor basin, are showing their interest in further investments, which leaves room for the possibility of this giant being able to stand on its feet even without entering a new privatization attempt. The example of the lead and zinc mine Rudnik near Gornji Milanovac, which has been owned by the company Mineco and its partners since 2004, shows that the privatization of a mine can be successful. Mineco also has the majority share in Veliki Majdan near Ljubovija, the liquidation of which was initiated in 2006, at which point it was taken over by Mineco. The new owner has settled the debts that existed, and the business operations of both mines are excellent owing to the large funds invested in the modernization of equipment, the renewal of the existing and the financing of new infrastructural facilities. If we take into account such experiences of foreign investors who took over some of the Serbian mines, the purchase of the 87 percent share in the Bulgarian company Kaolin by the German Quarzwerke group is significant news for the domestic mining sector, by which one of the leading worldwide producers of quartz sand has become the majority owner of several quartz sand mines and factories in Serbia (as well as in Ukraine and Bulgaria). This takeover is expected to lead to the modernization of the existing and the construction of new production capacities. 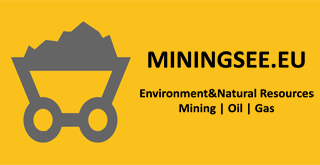 Around nine-tenths of the overall mining production in our country refers to coal, oil, gas and copper. The expansion of the mine Drmno and the reached agreement on the construction of the third block of the thermal power plant in Kostolac is significant news in coal production. MB Kolubara, as the largest lignite producer in the country, is planning to expand the production by opening a new open pit mine Radljevo. For years already, in considerable media silence, several multinational companies present in the domestic mining sector have been carrying out explorations worth tens of millions of dollars. Their first results are so good that it is realistic to expect the opening of mines of precious metals and rare minerals – boron, lithium and borate. In addition, an increase in the production of copper and coal is expected. According to the most optimistic scenario, the share of the mining sector in the domestic GDP could increase from the present less than two percent to around five percent by 2020.